I have been tampering with the idea of traditional selection processes. In hiring and selecting student leadership positions (Resident Assistants, Orientation Leaders, Peer Mentor etc) we often go with old faithful. Reach out, get some applications, group interviews, individual interviews, sit around a table and pick our team. I would love to permanently move away from that. A goal is to have some automatic qualifiers. This means having a selected group of students chosen to be on staff; without going through the long drawn out process. It’ll be a bit tougher on you as professional picking the team because, this method requires paying closer attention to the student population and getting to know them on more than just a surface level. You have to really know the students or have someone on the selection team who has consistently interacted with them. It’s like having a lead scout or recruiter on board. They’ve seen what these students have to offer and could provide insight towards who should make your team. As I work out all the kinks towards perfecting this, the US Women’s gymnastics team flickered a light in my selection process method. They were a team selected by an amazing coach Marta Karolyi and her staff. Talent and performances at the Olympic Trials primarily dictated making the team but there were some specific attributes of the “Final Five” that can help in picking your gold medal team. back and has performed amazingly. At the time of this writing she has a chance of going home with at least three medals. Her heartbreak, followed by perseverance is an asset on this team. She has emerged as a leader, even though she is likely not the best overall on the team. There’s nothing like fresh faces. They bring a certain level of unbridled energy to any team. With that said, give me a good ol’ veteran any day. It’s key to have at least one person on the squad who has been through the fire. They’ll be able to guide the rest of your staff through those tough moments. When selecting them though, avoid the “we’ve always done it like this” voice. Make sure they have the “Let’s try something new”voice instead. They can mix the things that worked in the past with the fresh ideas being brought to the table. Simone Biles might literally be the best gymnast of all time. On your campus there are students who are natural leaders. They jump at the chance to run a club or organization. This is the student who has managed to maintain a high GPA while being president of the biggest club on campus all while working part time. They just get IT, and they’re good at IT too. Make sure you have this person on staff. Students like this are like the coach out on the field. When you’re looking for an extension of the mission and game plan, they’ll make sure it’s executed. This is usually my first pick. Make sure you have that person on your team, no matter what. They would likely apply anyways but it’s your job to locate them and assure that they are on board. qualifications you seek. It’s our job as educators to turn that natural leader into an official one. Such an individual is a billboard that stands out to people you might not normally reach. They have a reach that you won’t always have. I remember a time when I hired an RA with star power. He literally tripled our Twitter followers once he took over our account. We also saw in increase in black male applicants the following year, which I largely attribute to his ability to reach that specific audience. Even though we had initial doubts as he was hired, he became an immediate role model and stellar RA. Two black women. One LatinX woman. Two white women. One Jewish woman. I loved this team not only for how dope they were but also for how culturally, racially and ethnically diverse they were. They’re skills put them where they are but I will not overlook their differences. While sitting on selection committees, we’ve all had the cultural convo in our head. Do we need this type of person, do we need that type of race? Instead of filling a quota, my suggestion is to leave three spots for your cultural all stars. Find people who bring diversity to your staff. It makes the overall team better. Don’t force these selections. Get individuals who not only represent different backgrounds but have already shown an ability to relate to various types of people. There was a bit of controversy when Madison Kocian was selected. 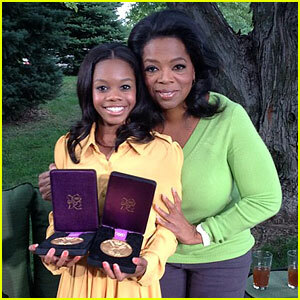 She didn’t have a top 5 score in the Olympic Trials, which was the competition to determine the team. She actually finished 8th overall. Despite that she found herself in Rio. Such a thing happened because Kocian is easily the best American in the uneven bars. Her individual skill set would lift the overall team score and she also would likely medal individually. It worked. She helped the team win gold and she individually won silver. When picking your staff, we know, there is no such thing as a perfect team. Every squad has a hole. If it’s a glaring one, you better have someone to fill it. You might lack overwhelming enthusiasm, perhaps you’re in need of a bilingual speaker or a stellar administratively minded student. No matter what, make sure you cover your weaknesses. As I’ve said, don’t compromise the team by putting just any old person. Kocian was certainly qualified and proved so by winning the silver and scoring high during the team competition. This person should be the final selection of your team. I would choose them after any interview process. As we move along towards the academic semester, more adjustments and additions will be made. Who would you include on your staff? What type of traits do you seek?